I spent all day yesterday cooped up in my house watching bad pre-Super Bowl television and playing Trivia Crack on my phone. That’s the extent of my weekend. It wasn’t a total loss. I did score some very fine original artwork created by Brian Tait, which I spent the daylight hours hanging. Tait’s the guy that runs Midtown Art Supply. He also makes great art, including the large, giant possum painting I’m looking at over my shoulder right now. Last Friday AV Club published this bit of click-bait called “Vinyl is just a fad, record executives say.” The piece compiled quotes from RCA Records president Tom Corson and Universal Music Distribution general manager Candace Berry pooh-poohing the recent jump in vinyl sales (up 52 percent last year, while digital sales dropped 12.5 percent). Amazing indeed. 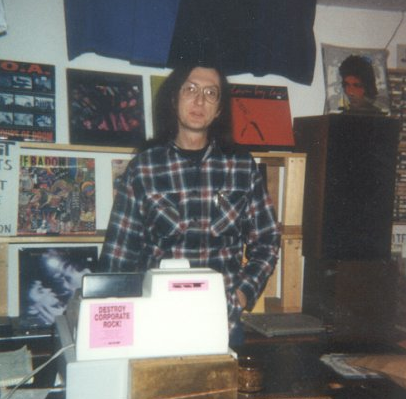 Only time will tell who’s right in predicting the future of vinyl. The only thing I have on my side of the argument is personal experience. The few 20-somethings I’ve spoken to who aren’t already vinyl collectors find the idea of acquiring a turntable amusing. They love listening to music, not collecting it. And believe me, there is a distinction. As a 40-something guy, I grew up with vinyl, switched to CDs, bought a click-wheel iPod and now subscribe to Spotify. That said, when I buy music (and not rent it), I almost exclusively buy vinyl, and then download the album via a digital key that comes in the package. I doubt I’m alone. But then again, I’ve always been a collector, as evidenced by the bookshelves filled with comic books and albums, drawers filled with CDs and the local art hanging on my walls (like those amazing Taits). For many, collecting vinyl is like a fetishist activity — just ask the dudes standing in line outside of Homer’s on Record Store Day. Where do I listen to the vast majority of my music? On my iPhone, while I’m running, shopping, working. I rarely listen to the vinyl copies of new albums more than a few times because I’m never sitting where my turntable is located very long (unless I’m writing, in which case, I don’t have music on at all). I think that could be the case for most people, especially those who work in an office or go to school. If you want to listen to music during the day, you probably have to take it with you. 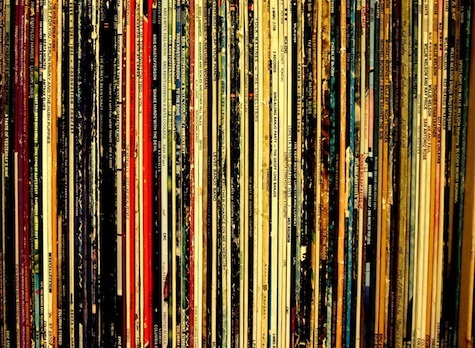 It’s that necessity that will limit vinyl to a collectors’ market. I hope I’m wrong; I hope Fratt is right. I’d like nothing more than to see vinyl sales continue to grow, and believe me Nansel would like to see that, too. Interesting. Reminds me of all the articles comparing vinyl to digital. In the end, can anyone but those with the most expensive audio equipment tell a difference in sound quality? Clay Masters, who covers the Midwest for NPR, filed a story for Weekend Edition Sunday that features Saddle Creek band Big Harp, and uses the duo as an example of how indie bands face an uphill battle in the post-apocalyptic music industry. Listen to it here. The story also talks about the added pressure on Chris Senseney and Stef Drootin-Senseney who are trying to make a living from music while raising a family — an endeavor that means bringing the kids along on the road. Of note in the story is the fact that Big Harp’s Saddle Creek debut, White Hat, sold fewer than 2,000 copies. In the old days (’round the turn of the century) that would have been considered a ginormous flop, but today, when no one’s buying music anymore, 2,000 ain’t half-bad, and probably better than a lot of 2012 indie releases. Still, do the math and that’s not a lot of cash. There’s tour income, but it’s not like the old days, Stef says in the report, when they could crash on someone’s floor while on the road. Not with the kids along. Saddle Creek Grand Poobah Robb Nansel kinda/sorta acknowledges that poor sales are starting to hurt, but that Big Harp’s low numbers don’t concern him, that the label is helped by back-catalog sales and that the reason it exists primarily is to promote “art that we feel is important” and supporting friendships. Gone are the days of pressing 10,000 CDs and spending gobs on print advertising. Lower budgets mean doing more with less. Clay implied in the piece that unless Big Harp’s new record sells better than the last one that it will be difficult for Saddle Creek to “stay with them.” But it’s hard to imagine Saddle Creek ever turning its back on any of their previous artists. Have they ever refused to release an alumnus’ record before? Clay also implied that commercial pressures could be the reason for Big Harp’s shift to a heavier sound. Their debut is almost serene compared to Chain Letters, which comes out a week from Tuesday. To me, the new record doesn’t sound heavier as much as more cluttered than the debut. If there’s a criticism to be leveled it’s that added elements can get in the way, something that wasn’t a problem on the debut. Or maybe I just prefer the kinder, gentler (and simpler) Big Harp. 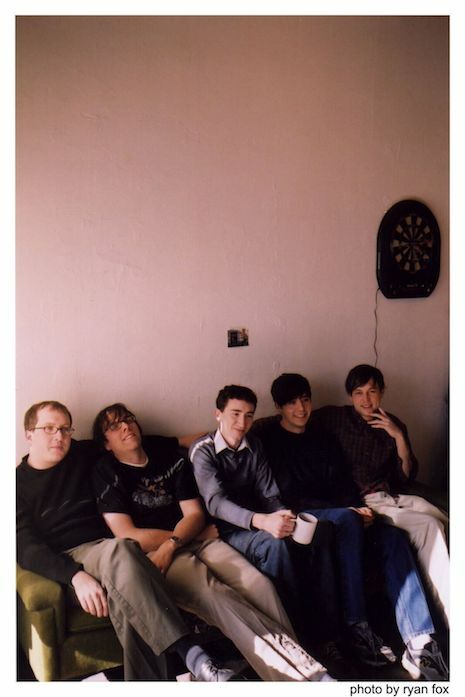 Their best features have always been Chris’ insane guitar playing, his unique, croaking baritone, and Stef’s clean, simple accompaniment. I can’t imagine (as someone suggested to me over the weekend) that they actively changed their sound to attract a Black Keys audience. I hope they haven’t. 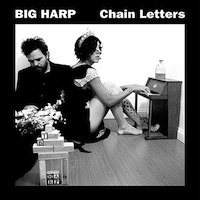 To me it’s not so much a question of Big Harp actively reaching out to a larger audience as much as that audience finding Big Harp’s music, which by itself is irresistible. Ain’t no shows tonight. In fact, there ain’t no shows until Friday. At least none that I know of. We are indeed in the depths of the winter lulls show-wise, and maybe that’s a good thing considering that everyone seems to be sick these days. While I didn’t have the flu, my allergies knocked me to my knees this past weekend, which is why I stayed away from the clubs. Speaking of weekend shows, I said last Friday that Sun Settings’ show at House of Loom that night was their swan song (based on their Facebook page). Then yesterday I got an invitation via Facebook to a Sun Settings show Feb. 8 at O’Leaver’s. I’m told the band will change its name by then. We shall see. 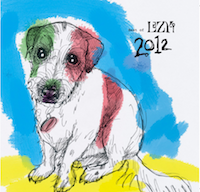 It’s coming down to the final days to enter enter to win a copy of the Lazy-i Best of 2012 compilation CD. The collection includes songs by The Intelligence, Simon Joyner, Ladyfinger, Twin Shadow, Ember Schrag, Tame Impala, Paul Banks, Cat Power and a ton more. The full track listing is here (scroll to the bottom). To enter the drawing send an email with your name and mailing address to tim.mcmahan@gmail.com. Hurry! Deadline is tomorrow, Jan. 15. 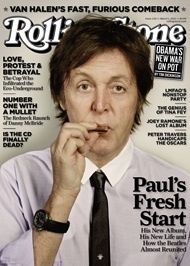 There’s an interesting interview with Saddle Creek’s Robb Nansel in the new Rolling Stone (with Paul McCartney on the cover). 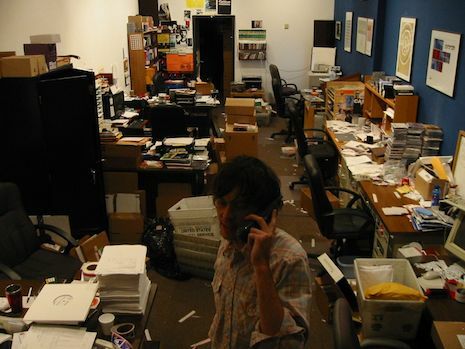 The article focuses on the inevitable death of the Compact Disc, and opens with Robb and Laura Burhenn trying to find a John Prine CD in Leesburg, Virginia, for Laura’s step father. They come back empty handed. Nansel then goes on to talk about how Saddle Creek always debates whether or not to press CDs when it comes to put out a new release. What the story forgets to mention is that Nansel and Saddle Creek just opened a new record store that focuses on vinyl (the Shop at Saddle Creek). That would have made for a clever twist on what turned out to be a rather dire article that predicts the end of the CD within five years. Anyway, look for it in the news section of the new Rolling Stone. And look for a full review of last nights Malkmus show at Slowdown right here on Monday, with a couple photos. (Spoiler alert: It was a great show). 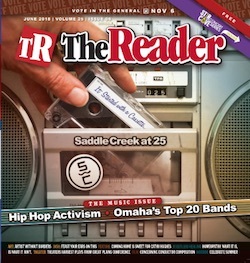 This week’s issue of The Reader features a cover story that compiles remembrances of Dave Sink from the musicians and friends who knew him best. And while portions of the article have appeared on other websites over the past day or so, none collect more comments from the people who made a mark during the era in which Sink was most influential. The contributors: Brian Byrd, Simon Joyner, Craig Crawford, Pat Buchanan, Bernie McGinn, Conor Oberst, Robb Nansel, Gary Dean Davis, Tim Moss, Matt Whipkey, Jake Bellows, Patrick Kinney, Adam J. Fogarty, Gus Rodino and Brad Smith. You can read the article online right here, or find a printed copy around town. If I had to venture a guess, I’d bet that Dave wasn’t a Lemonheads fan. Not coincidentally, neither am I. But that shouldn’t stop you from going to see The Lemonheads tonight at The Waiting Room, where the band will be performing It’s a Shame About Ray in its entirety. I’m told that Evan Dando was a bit fussy the last time he came to Omaha. What will he do this time? Opening is Meredith Sheldon. $15, 9 p.m.
Also tonight, power pop in the form of Lonely Estates and the Beat Seekers at The Sydney. 9 p.m., $5. Two more things. First, that Low album did become available about a week after I tried to find it on Spotify. Second, I initially thought I could find a ton of local artists on Spotify, artists that you’d never expect to find on a service like this. Until I realized that Spotify looks into your computer’s music library for search results. Once I figured this out, I realized that local acts were extremely limited in Spotify, if non-existent. Tonight is the MAHA Music Festival Showcase at The Slowdown curated by So-So Sailors. The line-up: Digital Leather, Fortnight and Millions Of Boys. The show starts at 9 p.m. and is absolutely free.